Hello again! I am glad to be again in Zina’s blog and this time I have to share with you an easy boho bracelet that everyone can craft! Leather and beads and wire…perfect for every taste! 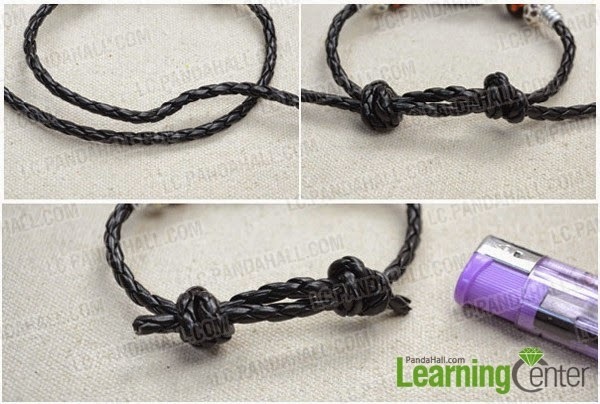 So far I have showed you how to create an Infinity Friendship macrame bracelet, but I have to say that this diy is easier and you are going to enjoy it for sure! 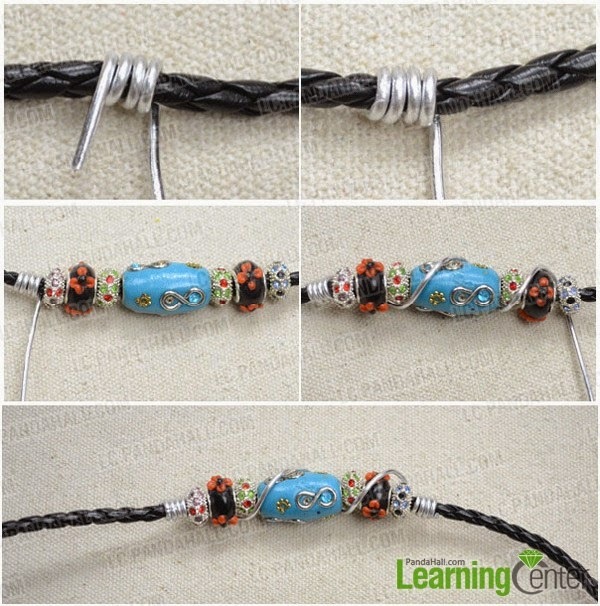 Of course you can use any color for the leather cord or your favorite large beads. However I wanted my bracelet to be boho and ethnic, so I used the specific beads! So let’s start with the beaded part. – Start swirl the aluminium wire almost in the 1/3 length of the cord several times. – Use your favorite beads (I used lamp work beads and Indonesian and European beads) and place them one by one as you wish. 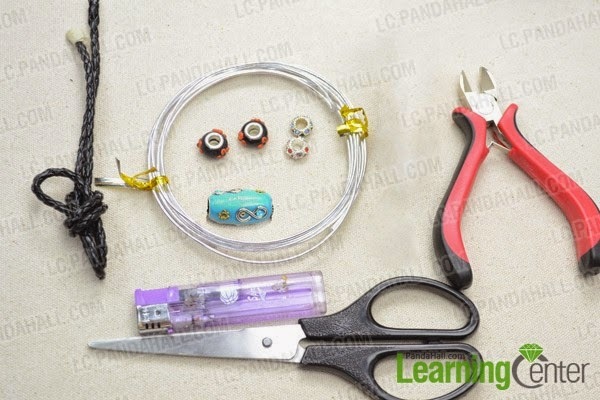 – Wrap the wire around the beads and at the end of them just repeat what you have done in step 2, meaning swirl it again. Cut the remaining wire. The tough part is ended…the only thing we have to do now it to make two knots in the edges of the leather in order to make it adjustable. Easy right? Your bracelet is ready! Of course you can use your imagination and different materials to create statement or dainty leather beaded bracelets, to wear them together or not, perfect for Spring and Summer and of course perfect for your boyfriend too…ok..you have to use minimal simple beads for a man! I am really curious to see what are you going to create with this technique! 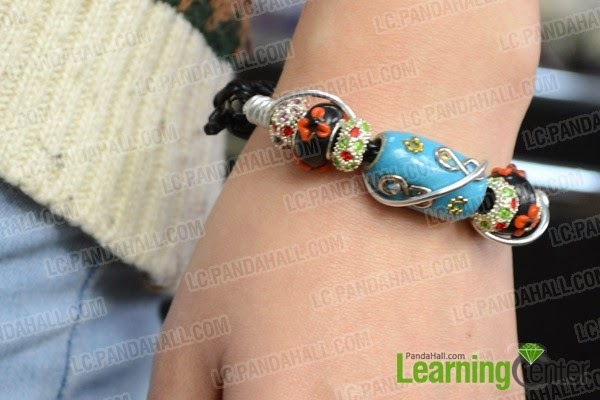 And if you wish to check more on-line jewelry and accessories making tutorials just visit Pandahall Learning Center. Amber just surprised us once more! So easy to create this wonderful bracelet and of course everyone can craft something different! I love how wonderful looks even if it is so simple! Thank you Amber!